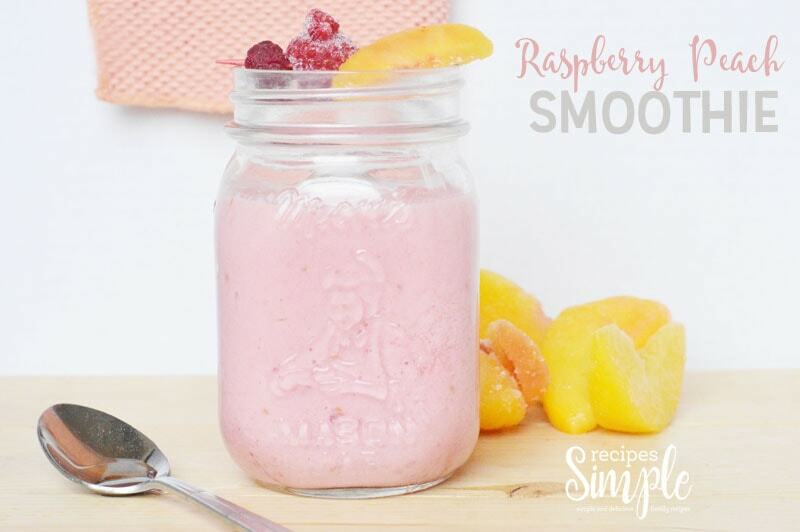 This Raspberry Peach Smoothie is so refreshing and with just a few ingredients it is quick and easy to make! 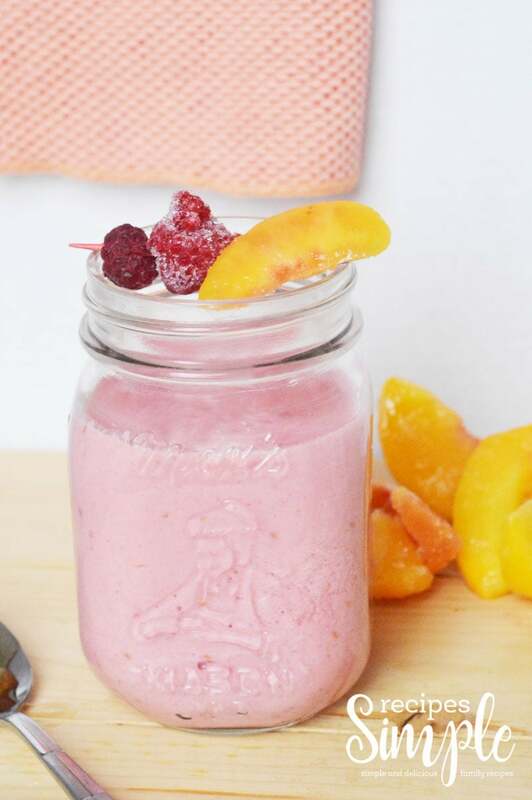 All you need is frozen peaches, frozen raspberries, milk, ice and honey. Smoothies are great year round. I love them for a quick breakfast or for a delicious afternoon treat. They are very versatile. You can add and combine any of your favorite fruits to make different flavor smoothies. 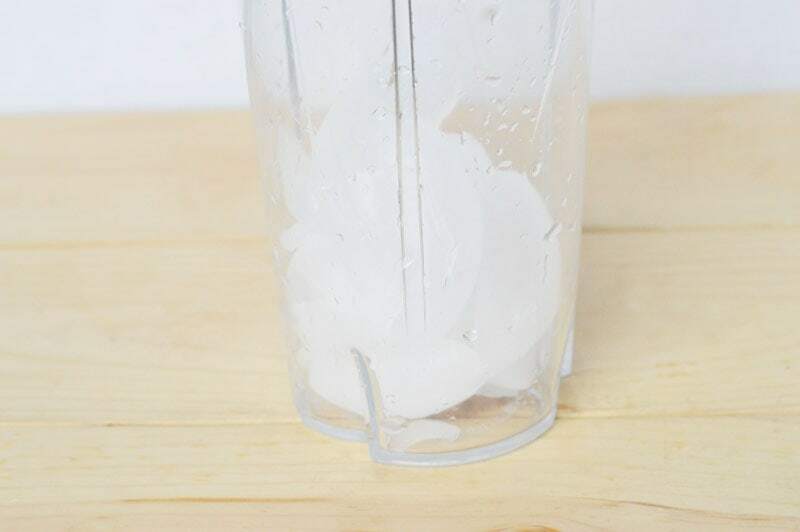 Start by adding 5 to 6 pieces of ice to your blender. 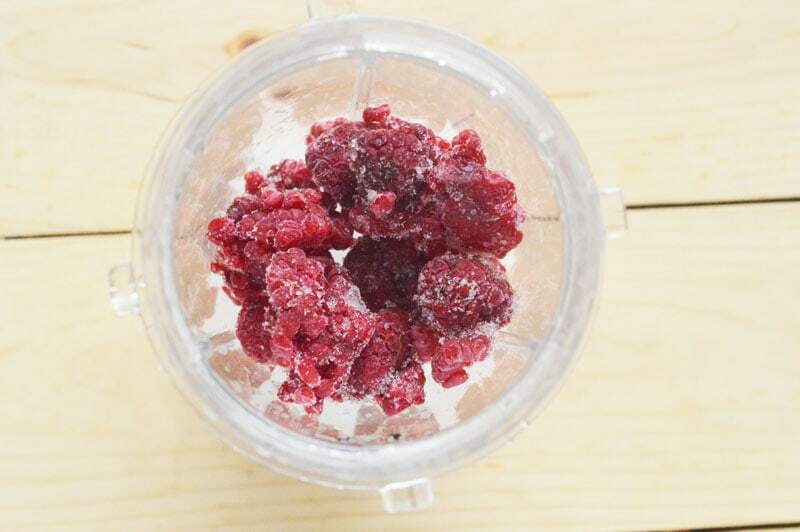 Then add your frozen Raspberries. Next add the frozen Peaches, milk and honey. 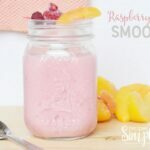 This Raspberry Peach Smoothie is so refreshing and with just a few ingredients it is quick and easy to make! 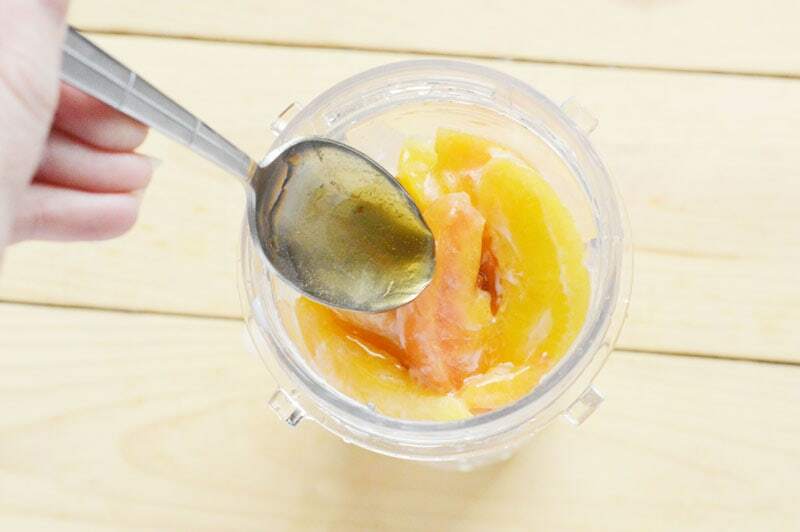 Combine all ingredients in a blender, saving your honey until last. Blend until smooth. This may mean you have to stop and stir the ingredients to get optimal consistency.